Microsoft Intune helps you protect your workforce's corporate data by managing devices and apps. 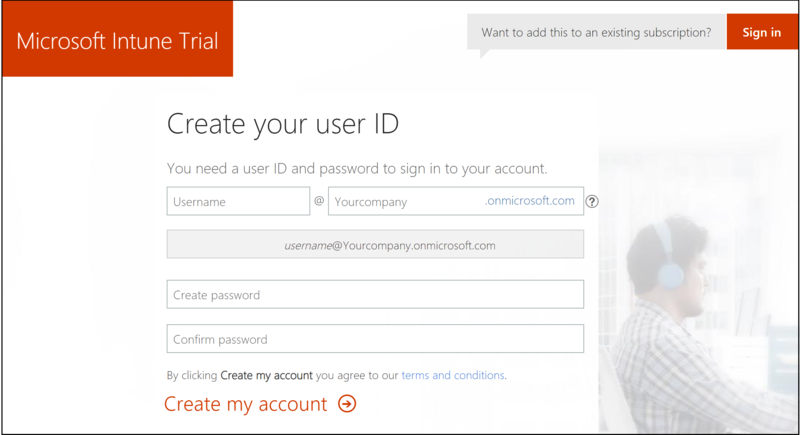 In this quickstart, you will create a free subscription to try Intune in a test environment. Intune provides mobile device management (MDM) and mobile app management (MAM) from a secure cloud-based service that is administered using the Microsoft Azure portal. Using Intune, you ensure your workforce's corporate resources (data, devices, and apps) are correctly configured, accessed, and updated, meeting your company's compliance policies and requirements. Trying out Intune is free for 30 days. If you already have a work or school account, sign in with that account and add Intune to your subscription. Otherwise, you can sign up for a new account to use Intune for your organization. You can't combine an existing work or school account after you sign up for a new account. Go to the Microsoft Intune Trial page and fill out the form. If most of your IT operations and users are in a different locale than you, you may want to select that locale under Country or region. Azure uses your regional information to deliver the right services. This setting can't be changed later. Create an account using your company name followed by .onmicrosoft.com. 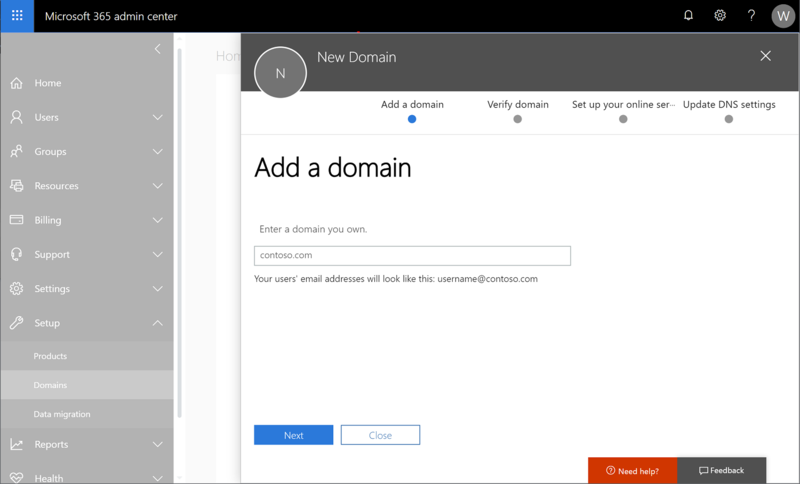 If your organization has its own custom domain that you want to use without .onmicrosoft.com, you can change that in the Microsoft 365 admin center described later in this article. View your new account information at the end of the sign-up process. Open a new browser window and enter https://portal.azure.com in the address bar. Use the credentials you were given in the steps above to sign in. To view Microsoft Intune in the Azure portal, select All services from the sidebar on the left side of the page. Search for Microsoft Intune in the filter box and select it. Select the star to add Intune to the bottom of the list of your favorite services and open the Intune dashboard. When you sign up for a trial, you will also receive an email message that contains your account information and the email address that you provided during the sign-up process. This email confirms your trial is active. When working with the Azure portal, you may have better results working with a browser in regular mode, rather than private mode. 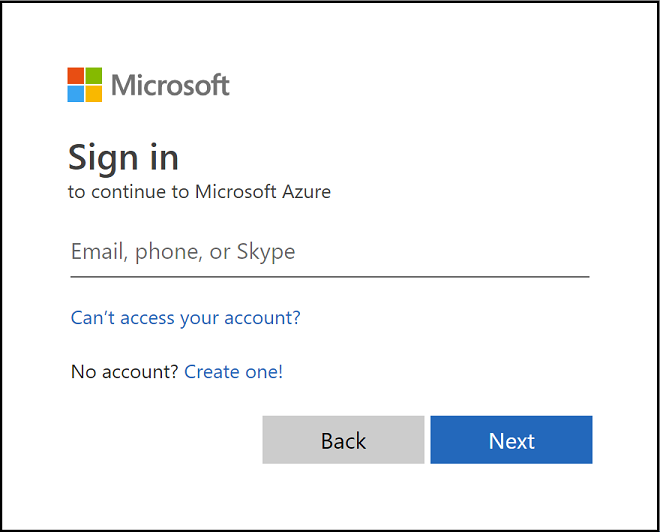 After signing in to the Azure portal and selecting Intune, you may see an orange banner indicating that you haven't yet set the MDM authority. The mobile device management (MDM) authority setting determines how you manage your devices. The MDM authority must be set before users can enroll devices for management. 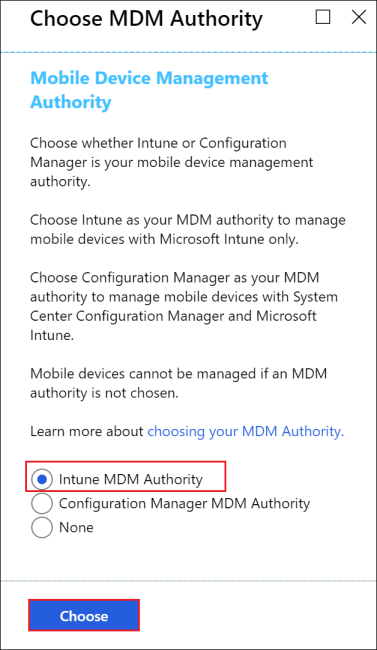 To set the MDM authority to Intune, follow these steps. Choose All services > Microsoft Intune. Select the banner indicating that you haven't enabled device management, or if you don't immediately see the banner, select Device enrollment. The Choose MDM Authority blade will be displayed if you haven't enabled device management yet. If you have set the MDM Authority, you will see the MDM authority value on the Device enrollment blade. The orange banner is only displayed if you haven't yet set the MDM authority. If your MDM Authority is not set, under Choose MDM Authority, set your MDM authority to Intune MDM Authority. For more information about the MDM authority, see Set the mobile device management authority. As mentioned above, if your organization has its own custom domain that you want to use without .onmicrosoft.com, you can change it in the Microsoft 365 admin center. You can add, verify, and configure your custom domain name using the following steps. You cannot rename or remove the initial onmicrosoft.com part of the domain name. However, you can add, verify or remove custom domain names used with Intune to keep your business identity clear. For more information, see Configure a custom domain name. Go to Microsoft 365 admin center and sign in using your administrator account. In the navigation pane, choose Setup > Domains > Add domain. Type your custom domain name. Then, select Next. Verify that you are the owner of the domain that you entered in the previous step. Selecting send code via email will send an email to the registered contact of your domain. After you receive the email, copy the code and enter it in the field labeled Type your verification code here. If the verification code matches, the domain will be added to your tenant. The email displayed may not look familiar. Some registrars hide the real email address. Also, the email address may be different then what was provided when the domain was registered. 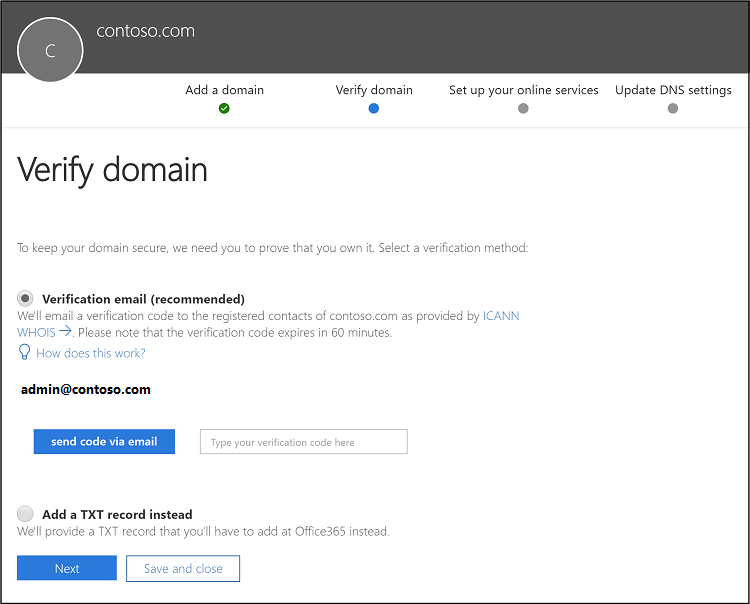 For TXT record verification details, see Create DNS records at any DNS hosting provider for Office 365. The Intune dashboard in Azure (portal.azure.com) is where you can explore the capabilities of Intune. Normally, you’ll do your work in the Intune dashboard. The Microsoft 365 admin center (admin.microsoft.com) is where you can add and manage users, if you are not using Azure Active Directory for this. You can also manage other aspects of your account, including billing and support. 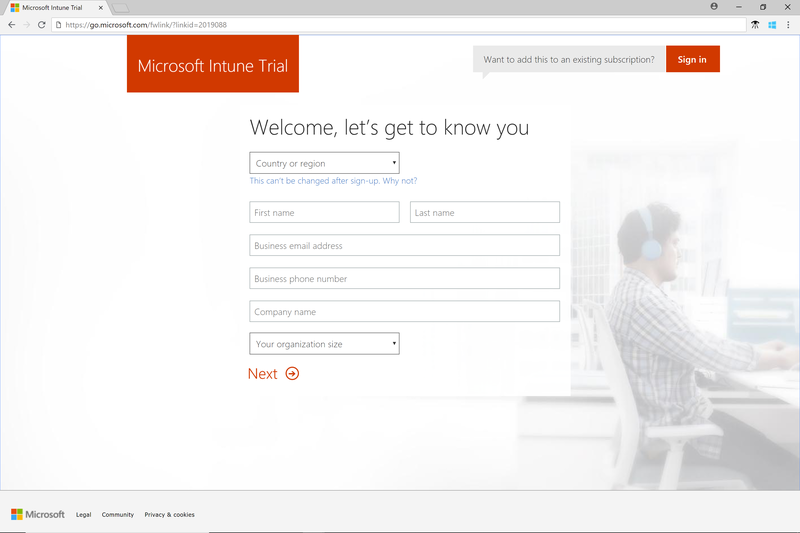 In this quickstart, you've created a free subscription to try Intune in a test environment. 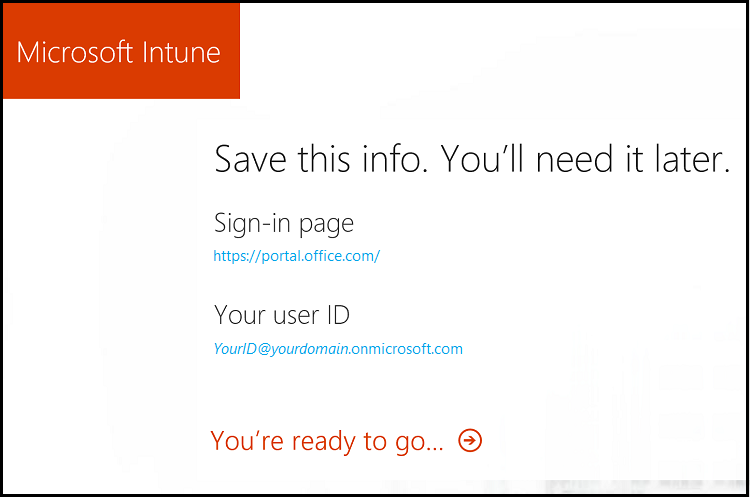 For more information about setting up Intune, see Set up Intune. To follow this series of Intune quickstarts, continue to the next quickstart.